1. Prepare your eyes by applying an eye primer. This will enhance your eyeshadow and make it last longer. 2. 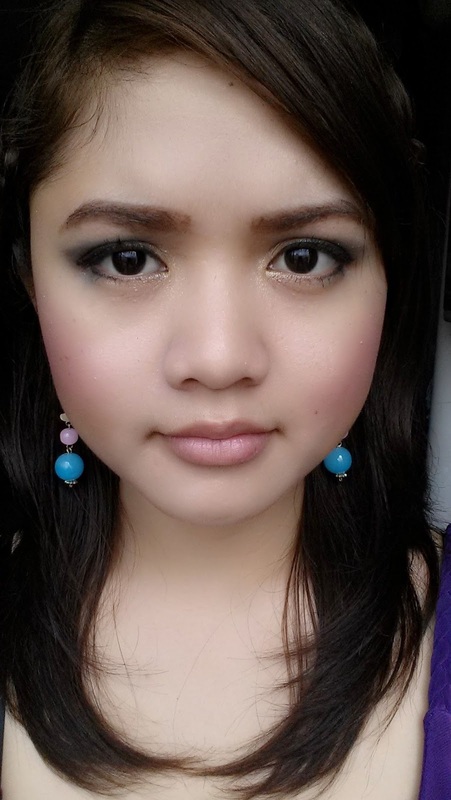 Apply a gold eyeshadow on your entire eyelids. Don't forget to apply it on the inner corners of your eyes as well. 3. 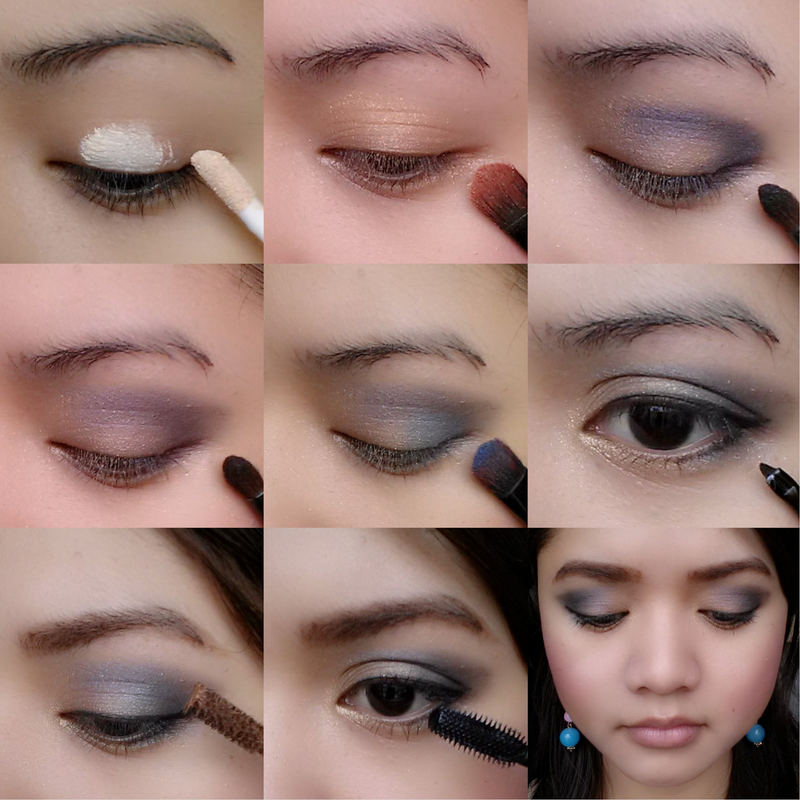 Apply a dark blue eyeshadow shade on the outer corners of your eyes in a '<' and '>' manner. 4. Blend the application on step 3. 5. Apply an azure blue eyeshadow shade in between the gold and dark blue eyeshadow shades and don't forget to blend. 6. Apply a black eyeliner on your upper lash line and 3/4 parts of your lower lash line starting from the outer corners of your eyes. 7. Fill in your brows. 8. Curl your lashes and apply mascara. Continue with the rest of your face and you're done. This is how it looks like on my face. love the eye look...simply amazing!